After thundering success of Muratukalai and Pokkiri Raja, AVM produced Payum Puli. It was released on 14 January 1983 for Pongal. It was an complete action packed film based on the some scenes of 36th Chamber of Shaloin. 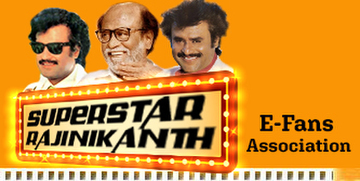 Superstar worked hard for this film especially for the fight scenes. The songs became super hit as usual. Cameraman Babu did a great job for "Pothukuttu Oothuthadi Vaanam" song. For "Aadi Masama Kathadikke", SPB sang in different tone as per the director request for Rajini different get up. However, SPB was little upset after seeing on the screen as there is no change in get up for Rajini. Anyway, he was happy that Rajini did good dance movement and it was super hit. Payum Puli broke record at Chennai Alankar theater whereby it was houseful for 43 days continously. Payum Puli 133 days function was held at Madurai Saraswathi Theater. Kamala theater owner V.N. Chidambaram was the chief guest for that function. Superstar Rajini and AVM Saravanan also attended the function. There were huge crowd inside and outside the theater. The function was held in a very grand manner. Police and theater management was not able to control the crowd. Once the function was over, the chief guest V.N. Chidambaram was about to come down from the stage. One of the the die hard fan rushed to the stage and kissed his hand. He was shocked and confused! He queried the fan for his action and he replied that he came all the way to meet Superstar during the function but he was not able to do so due to the huge crowd. Since Superstar touched and shaked your hand during the function and therefore i touched and kissed your hand. I feel as if i am kissing our superstar hand and it is enough for me. V.N. Chidamabaram thrilled about this experience and he proudly said during a magazine interview. Fan can share your experience watching Payum Puli and the number of days the movie completed at your place.